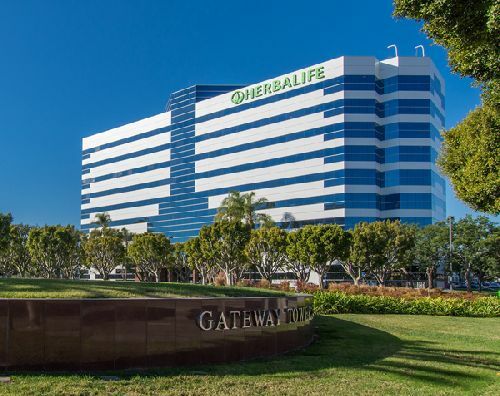 Gateway Towers, a 443.5k sf, Class A office property in L.A.’s South Bay region was purchased for $106.25 mil ($240/sf) by The Ruth Group, along with Roxborough Group as its capital partner. The property, located at 970 and 990 190th St, west of the 110 Fwy and south of the 405 Fwy, was sold by Equity Office Properties. Gateway Towers comprises twin, nine-story towers. The 91% leased property is anchored by Herbalife International of America along with other credit-worthy professional service firms and financial institutions. The property offers immediate access and visibility from the 405 and 110 freeway interchange which benefits from daily traffic volume of 1 million cars. NKF Co-Head of U.S. Capital Markets Kevin Shannon, Executive Managing Director Ken White, Senior Managing Director Scott Schumacher, and Senior Associate Guillermo Boisson represented the seller in the deal. NKF Vice Chairman David Milestone and Senior Managing Director Brett Green repped the buyer in securing debt. “This market is primed for future rental growth given current class A asking rates of $2.65 FSG at the project vs. asking rates ranging from $3.25 to $4.00 FSG in the nearby central Torrance and El Segundo submarkets respectively,” Shannon added. According to NKF, the South Bay market is supply constrained, restricted by major physical and economic barriers to entry for prime class A office product. The 190th submarket continues to experience migration by major tenants seeking better regional freeway access and lower occupancy costs.